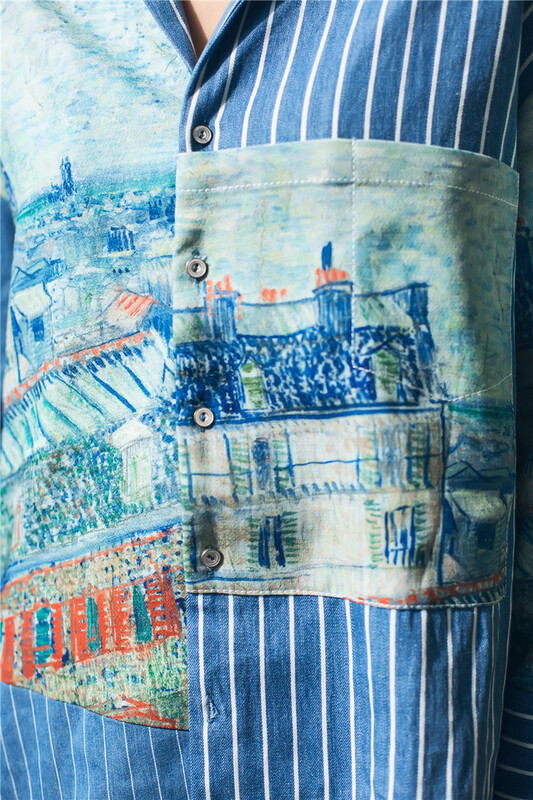 We are in love with our amazing Impressionism painting inspired print shirt. 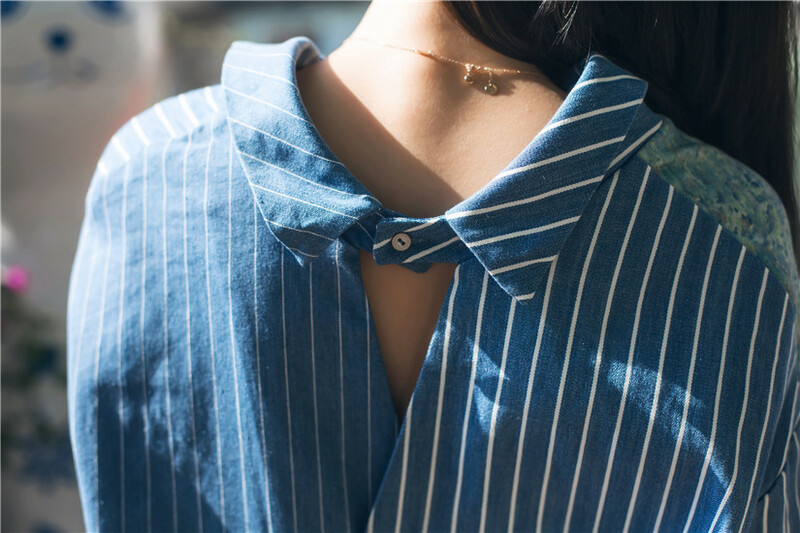 Quality print with vintage style blue/white stripe, not just a vintage aesthetic prove but also shows your artistic passion and sense. 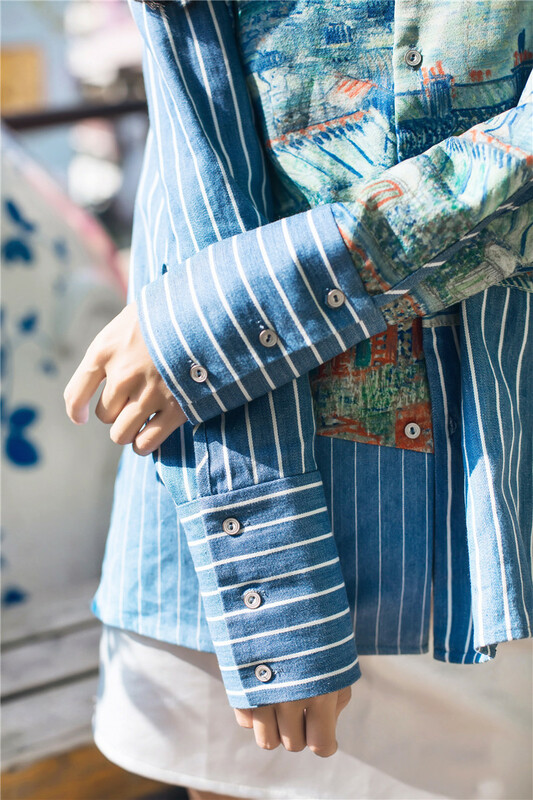 Painting printed asymmetrically on soft and quality cotton dress, with v-tapper key hole on the back, the shirt split has become a desirable asset, a deliberate slice in a shirt is also a details that we are in loved for.